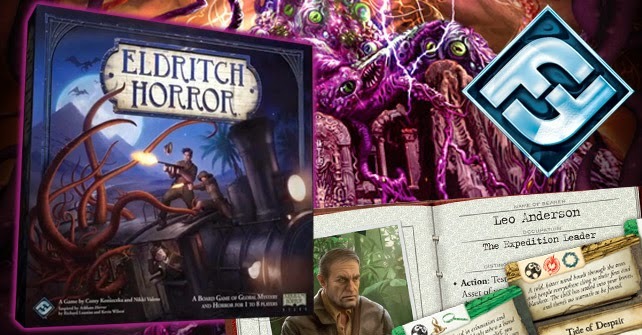 As a minor departure from our usual filmic goods, I've decided to review a board game that I'm playing at the minute, a board game that has me completely addicted: Eldritch Horror. 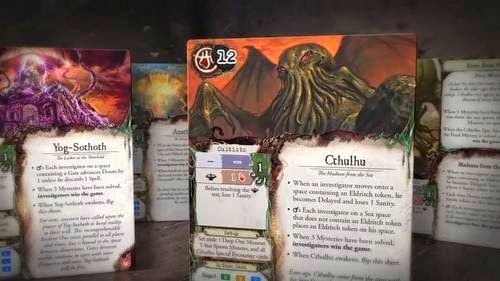 Eldritch Horror is a streamlined version of an older game, Arkham Horror but is sufficiently different to make owning both desirable. 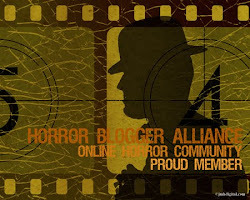 Both games are about a group of investigators who come together to defeat one of H.P. 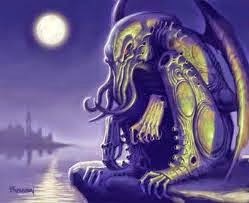 Lovecraft's Ancient Ones. 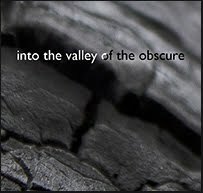 Along the way they have to find clues, solve mysteries, shut gates to other worlds and kill nasty monstery type things. 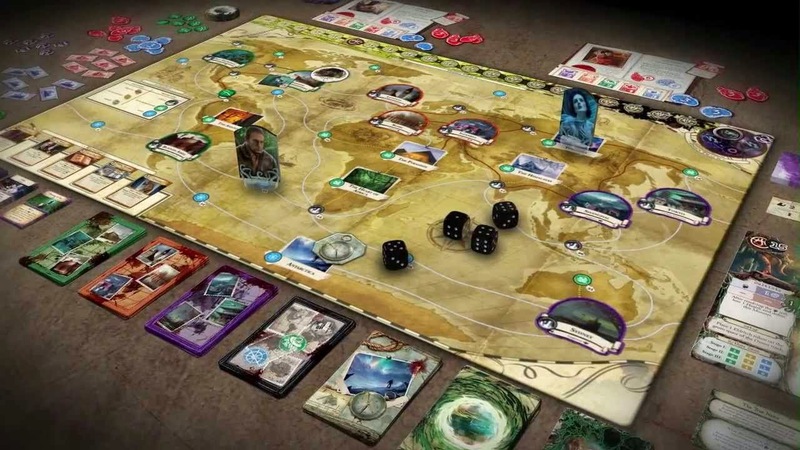 The main difference between the two games is that Arkham Horror is set in Arkham, (obviously) whereas the events in Eldritch Horror span the entire world. There are three phases to the game: Action, Encounter and Mythos. The Action phase allows the investigators to move, rest, trade and perform other actions (hence the name). In the Encounters phase the investigators encounter something on their space, which could be fighting a monster, closing a gate, getting a clue or even one based on the specific location. Finally the Mythos phase is where the game really fights back against the players. New gates are spawned along with the obligatory monsters and for the most part, bad things happen. As you may have picked up from the last paragraph, this is a cooperative game. The players all work together to beat the game. It is suitable for 2 to 8 players, but 4 players seems to work really well. (There are also supplementary rules for solo play.) There are eight investigators to choose from and each has their own strengths and weaknesses. You can generally look at their stats and decide what they will be good at whether that is gaining clues, fighting or casting spells. I know some people play this by picking an ideal team using the available investigators but I prefer to randomly select them. It seems to throw up some interesting combinations of characters that initially seem to be destined for failure but miraculously work well together. 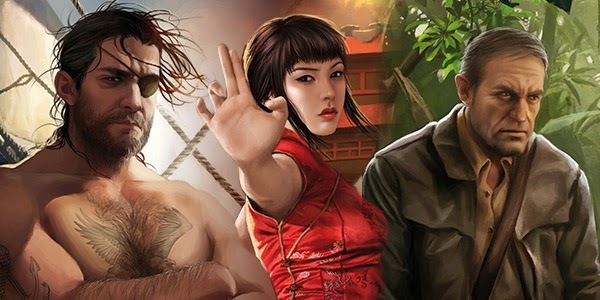 The game allows opportunities to fine tune characters by building their stats, to make them even better at their job. Eldritch Horror is a finely balanced game. It would be dull if the investigators won every single time. This doesn't happen. A game can be played for three hours. And then you lose. 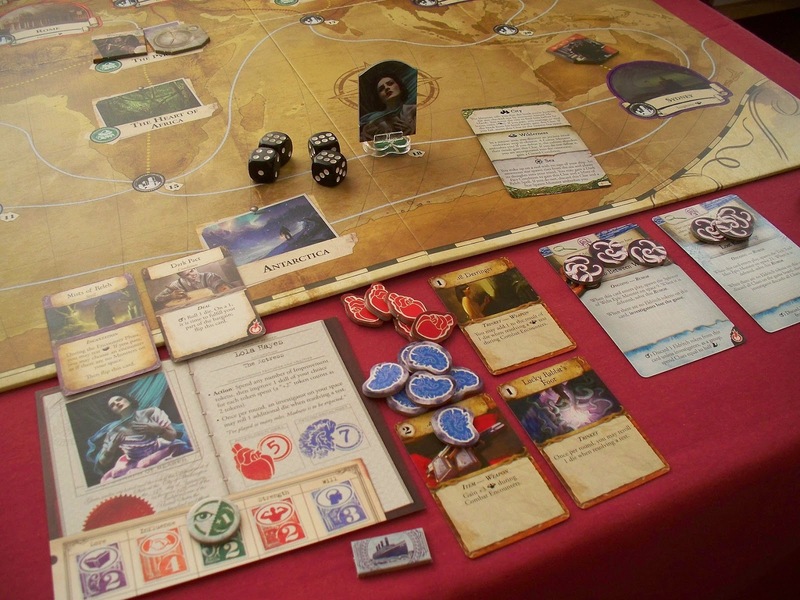 (In Arkham Horror games can easily stretch to five hours which makes the losses even harder to bear.) But when I lose, I set up another game straight away. Most of the games seem to be extremely tight which can make for some quality tension. 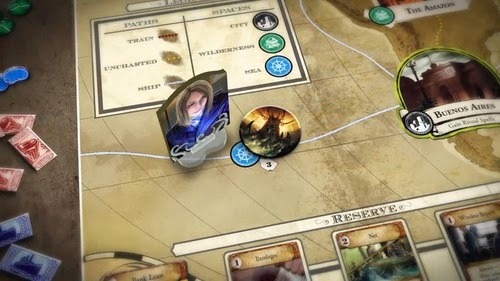 Great games should teach us something about life and the main thing Eldritch Horror rams home constantly is perseverance. The game regularly batters you into thinking that there is no way of winning, everything goes against you and all seems lost. Yet if you keep going to the bitter end it's amazing how many times you win or come really close. There are other life lessons to be learnt such as co-operation, prioritising and how to slaughter a Star Spawn using a shotgun. 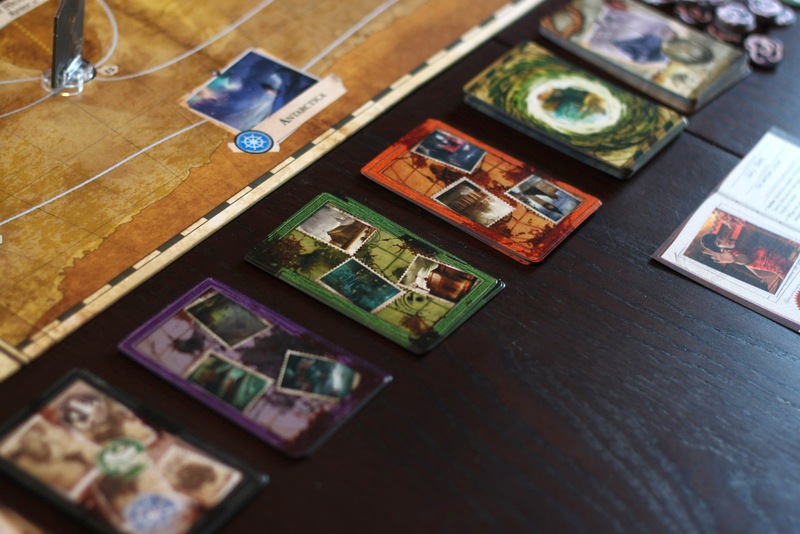 Eldritch Horror is a pleasure to play. The artwork in the game is gorgeous, especially on the locations and all of the components are well made. It feels like it has been play tested to death. My one concern is that it sometimes feels too harsh, initially the restrictions on movement make winning appear impossible and there is one card that can make a player lose six health, which is more than most characters have. But overall the game appears to be fair. Luck is obviously involved but it is definitely possible to improve your chances of success through shrewd choices. Strategies can be employed, especially the ways that investigators can work together, to make winning more achievable. As the players' skills and knowledge improve the rule book has suggestions to make the game even harder which adds to its longevity. If you're completely new to board games of this ilk that have a little more depth than Guess Who, then this is probably a quite good place to start. The rules are pretty long but they are relatively easy to learn. It's a great game that has already given me many hours of pleasure. 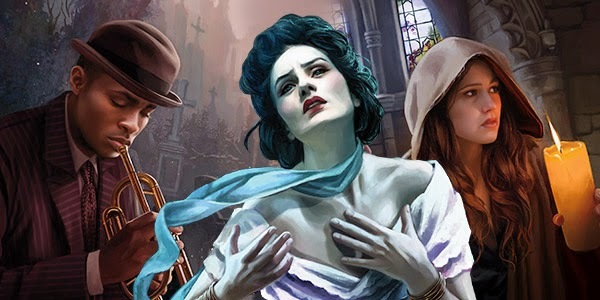 Despite this being so good I can still recommend Arkham Horror too. 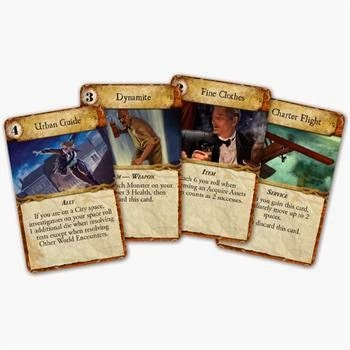 The games take longer - making the stakes higher - and the expansions available add new boards and cards. Right, I'm going to leg it now to see if I can batter Azathoth into submission with a politician, a psychic, an astronomer and an actress. 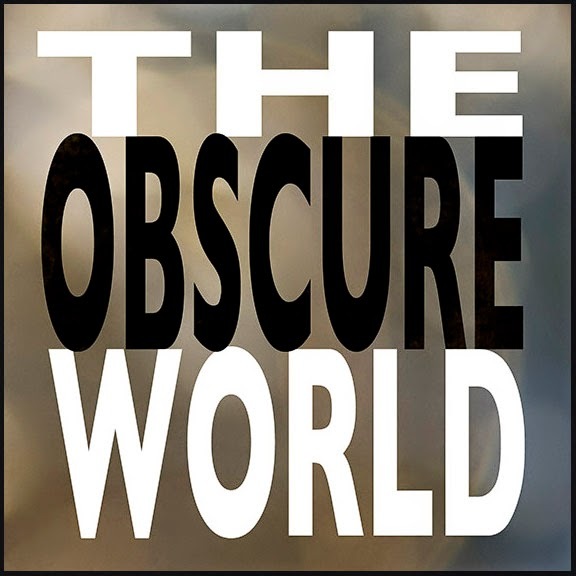 Obscurendure aims to bring you the best and worst in films, both current and classic, with an emphasis on obscurities. Come and join us, we could point you in new and interesting directions. For all your obscure music needs. Our ratings system is a true ratings system. An average film gets an average score of 5, which is perfectly okay for a rental or if you can buy it cheaply. 10 Classic - Buy at all costs. 9, 8, 7 Great - Worth buying, on Blu-ray if possible. 6, 5, 4 Average - Rent it. Or get it cheap. 3, 2, 1 Poor - Don’t bother unless you are desperate. Doctor Carnage's world of horror. 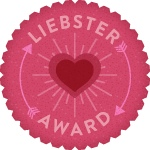 I’ve moved from blogspot to wordpress!